A gentle, light colored oil, extracted from the seeds of Grapes that ,is rich in essential fatty acids like palmitic, stearic, and linoleic acid. and Vit E,C & D that can soothe and nourish the skin, and help it to repair . An excellent skin brightener, toner and can be used for reducing age spots, sun burn, wrinkles and stretch marks. 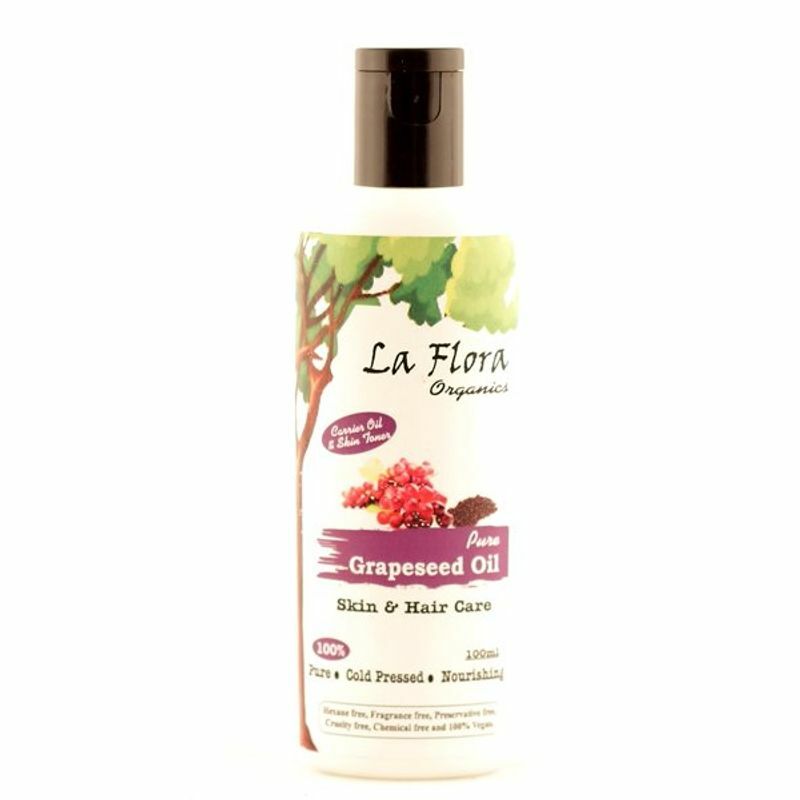 Grapeseed Oil can help reduce scalp irritations, dandruff, promotes hair growth . Explore the entire range of Massage / Carrier Oils available on Nykaa. Shop more La Flora Organics products here.You can browse through the complete world of La Flora Organics Massage / Carrier Oils .